3-4 days of class II, III, and IV whitewater rafting, including 2-3 nights luxury beach camping with fantastic river meals. 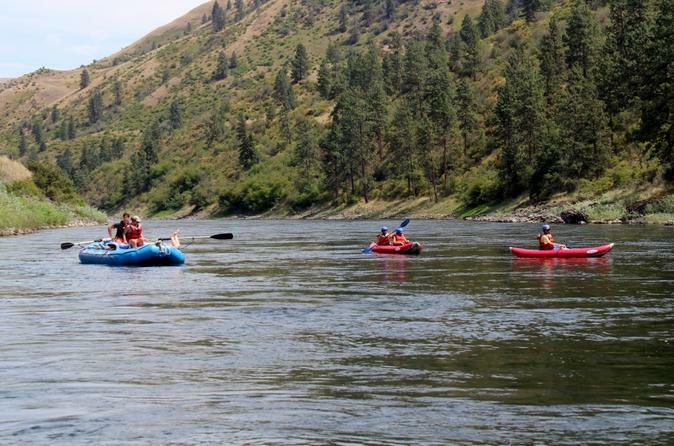 Pristine white sandy beaches, beautiful Salmon River Canyon and wildlife scenery. Native American Indian pictograph and historic pioneer homestead site viewing. There is also optional hiking, fishing and kayaking.